There’s no better time to visit Tuscany than springtime. 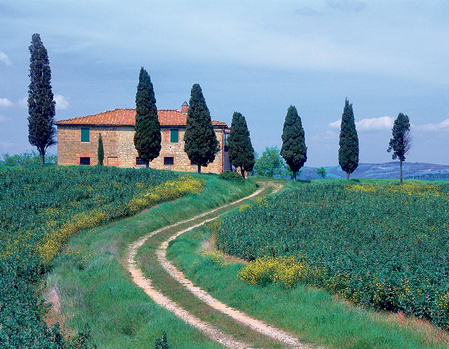 But then again… there’s no bad time to visit Tuscany. After all, it is Tuscany. That said, Springtime is when the days turn sunny, vineyards sprout their first green, markets display their gorgeous produce and sidewalk cafés and restaurants come to life. And—difficult as it is to believe—spring is coming. TourCrafters, a tour company specializing in affordable European vacations, has made a spring trip even more appealing with their one-week Florence and Tuscany Countryside package, which starts at $739 from New York and includes round-trip air from New York, three nights at the 4-star Hotel Roma in Florence, three nights at the 4-star Villa Aurea in Cortona, daily buffet breakfast, three days’ car rental, a free spa course (with sauna, Turkish bath and tea) at the Villa Aurea, a free gelato at Florence’s famous Vivoli, service charges and taxes. Florence, as everyone knows, is the world’s greatest repository of Renaissance art, but it also boasts great restaurants and fabulous shopping (everything from designer shops on via Tornabuoni to the San Lorenzo Market). Cortona, a hilltop town of steep, narrow streets and the setting for the popular memoir, Under the Tuscan Sun, also has its art and architecture. Between the two lies the Chianti region with its hillside vineyards, olive groves, medieval towns and picturesque castles—easy enough to explore with a three-day car rental. All prices are per person, double occupancy, are subject to availability and do not include airport taxes of approximately $115 and a fuel surcharge of approximately $360. Reservations must be paid for within 72 hours of booking. Add-on air fares are $40 from Boston and Washington, D.C., $135 from Miami and Chicago, and $250 from Los Angeles. Lin Urman, our resident Food and Lifestyle writer based in Tel Aviv, takes us to Goa where hippies frolic with fire and the only thing burning is that curry your waiter said wasn’t spicy. So, without further ado, without masks and secret wants, this is her trip diary from India’s famous beach bum hangout. The food is for the body and the beach is for the soul. Getting rid of old boyfriend and starting a new chapter. So, I packed up the tasty comfortable life of Tel Aviv (or any city and it’s restaurants and the predictable men on the menu), the hectic work and constant running around, and went to India. I am now in Goa on a beach called Arambol. There are plenty of beaches to choose from and if you don’t like one, well, the next is a walk away. 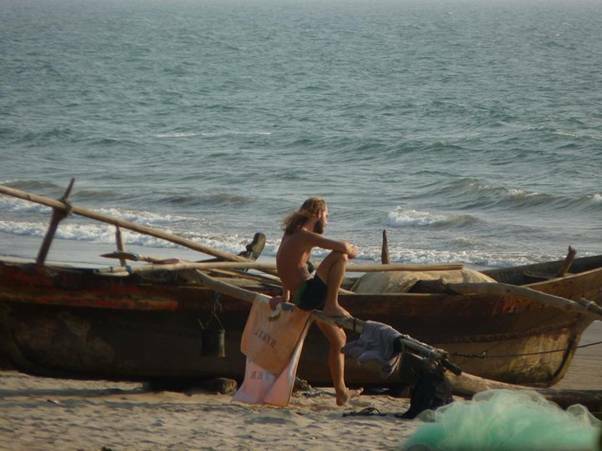 Goa, the land of fashionable hippies, come every year to spend cold winter days on a friendly and sunny part of India. For me, those seasonable friends look, from first sight, like a tribe which embraces you all over again every time you come. 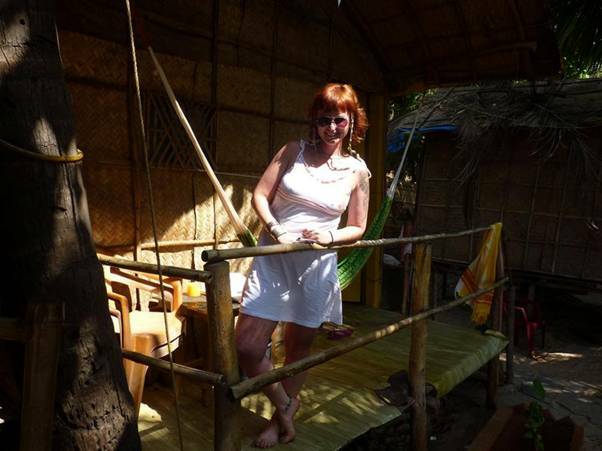 I chose to stay in Arambol – the finest hippie resort – because they have one of the best shows in India… a drumming circle where you can see unbelievably unrealistic physical movement and dancing with a backdrop of amazing sunsets. From the beginning it may seem like a close family meeting, but you soon will find out that it’s enough to know only one of them and you are on the highway to meeting all of them. 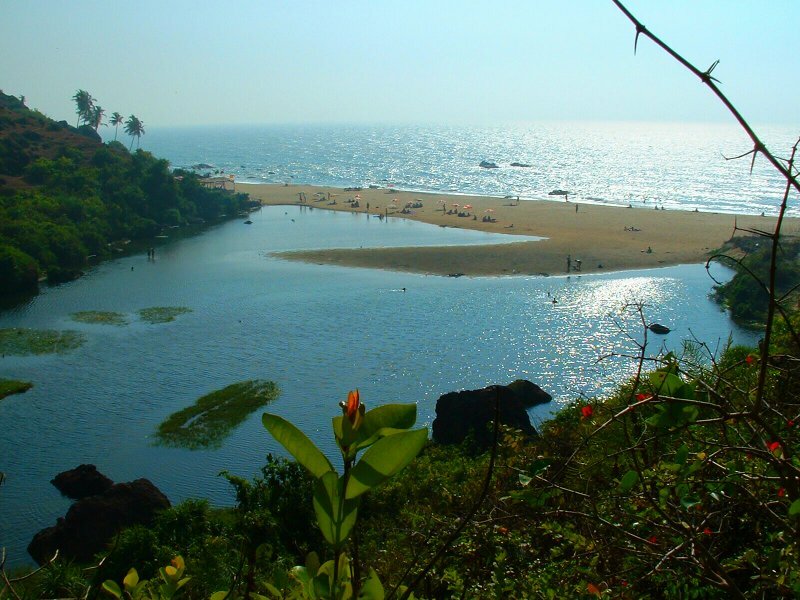 Arambol is a northeast beach of Goa and it’s very easy to find. Here, there is also everything your body and soul will need. To make your landing easier you can take a private taxi right from the entrance of Goa international airport. It should cost 1170 rupee ($26) and you’ll be on your first ride with Indian smells and sounds surrounding you. For the next hour and a half drive you will not see any traffic lights but you will pass a few unbelievably huge and impossibly complicated traffic roundabouts that you have never seen in your whole life. The main road of Arambol beach, which sometimes is called “a market,” will take you directly to the beach, where the only choice you will have is to decide either to go left or right. All the possibilities of accommodation will be laid out in front of you. I found a nice hut in a place called “Residencia” (perhaps left over from the Portuguese). 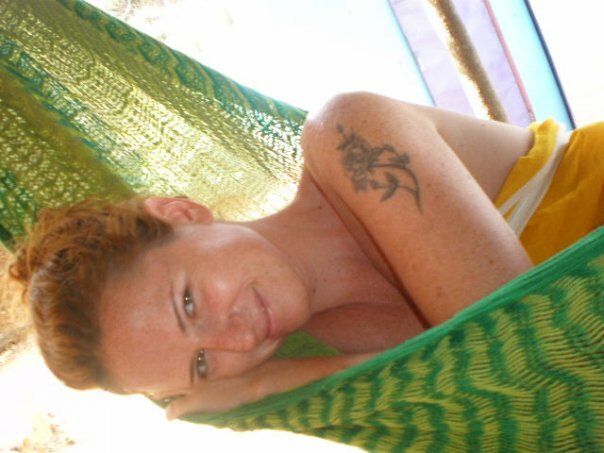 It’s a nice basic bamboo house with no toilet or a shower, but with all day long WI FI on the porch, a taxi driver, laundry service, safe box, food and drinks nearby. There’s even a printing service and money exchange and they’ll do anything for you and your “dolachis”. The sea view is more than compensation for not having your own toilet, and believe me, its better not to have one because very soon it becomes more a problem than a solution when it gets stuck and starts to stink in front of your pleasant bed. “Residencia” is well known as a place of return clients and seasoned travellers and is very easy to find, just take a right when you reach the beach and after 50 meters you will see a huge nice well kept garden and a clean sand trail. A little trick: before checking in, take a quick look at the shoes in front of the doors so you can easily predict who your potential neighbors are: rich, slobs, techies or seasoned Indian shoe wearers. 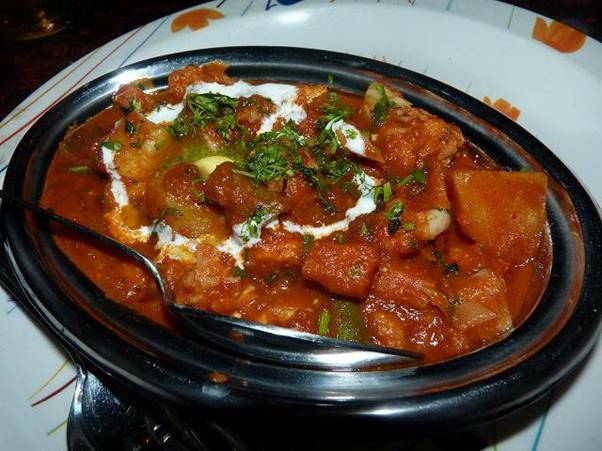 The restaurants of Arambol have everything you could want: Russian, Israeli, Continental, Chinese, Japanese and even Tibetian cuisine, but I prefer a spicy vegetarian Indian food because the spiciness kills all the microbes before they start killing me. The Italian restaurant “Fellini” (on the main road next to the beach) has the best pizza in Arambol and high quality live music almost every evening. At “Relax in” (right on the beach, but you won’t see anything like a restaurant, only chairs and tables), you will never be able to fined a free chair to seat after 7 pm, but if you do, you can enjoy real Italian food and very cheap fish dishes. “Olive Garden” which is also located on the beach (on the left side), you can find very cheap, tasty Indian “paneer” dishes (cottage cheese in different sauces),but you’ll need interesting book or a very good company because the wait for food is excruciating – even by Indian standards. “Laughing Buddha” has a nice Anglo Saxon atmosphere with music and buttoned up waiters (the owner is British). Although it was a little too English for me, the food was nice and pleasant, especially the “malai cofta” dumplings made from potato puree filled with vegetables and raisins in a thick nut sauce. 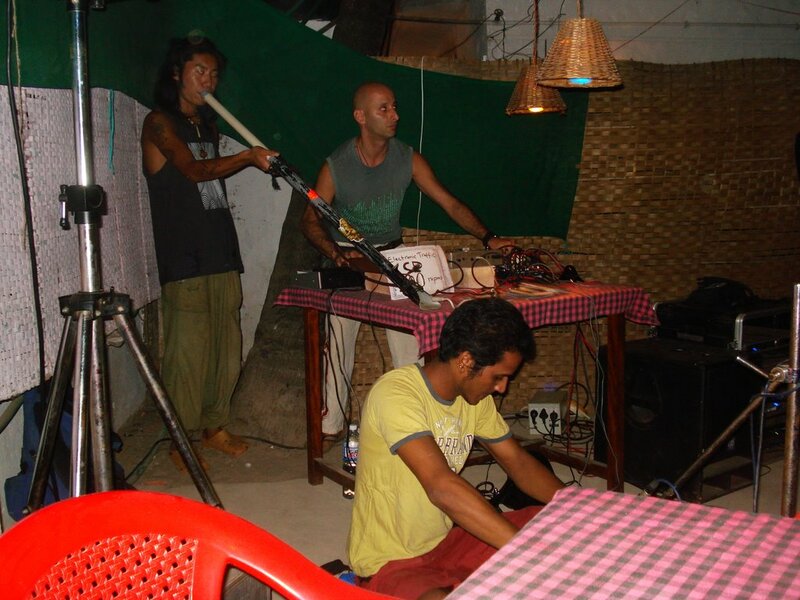 The main pick up/party/dance bar in Arambol is “Coco Loco” located on the beach and, from 22:00, it becomes very easy to find its location. You just need to hear the booms in the air. Gypsy party, R&B styled- Bob Marley tribal rave, house and even trance, every night new adventure. The best place for the after party is a place called “Woodstock“. Hungry for music, musicians and their audience will go there after Coco Loco closes around 1:00 am. Woodstock is a guesthouse-open air sit-on-the-ground restaurant which is incredibly comfortable for spontaneous jam sessions because it’s located far from the beach with no neighbors around. An Israeli guy owns this place and will do everything is needed to keep policemen out of his place so you will have one more hour in the great company of musically developed people. Enjoy the beautiful sunsets, go for a walk to the next beach with a lake on it, and a find a secret road to the jungle where you can meet a real Baba smoking on a magic tree. Dance, smile, eat well and swim every day in warm and nice water, but never ever try to figure out with an Indian waiter if the food that you ordered is a spicy, because there is not any chance he will tell you the truth. So now is it clear why does everyone from around the world wants to come here to heal, experience, and feel a change? Drummers, hippies, guitar players, music, people clapping, and dancing. As it gets darker, fire displays around people, trinkets spin, spheres, and little ribbons fall and flicker at the end of a chain. By 20:30, I stop by the Tibetan stand and get a chocolate ball for 20 cents. Best dessert on this side of Asia. I head to my place, put some music on my laptop, light a candle so I won’t be cold, pop a beer, and very quickly make an acquaintance. My parting words: If you like the sound of the music from far away, walk towards it. It is probably some beach party, a circle of drummers or some house music. Up to you, you can always feed your brain and read your book. But with Goa, there’s a lot more variety on the menu. Only two hours away from Paris and located just a few kilometers from the center of Deauville, France is a secret we’ve been waiting to share. 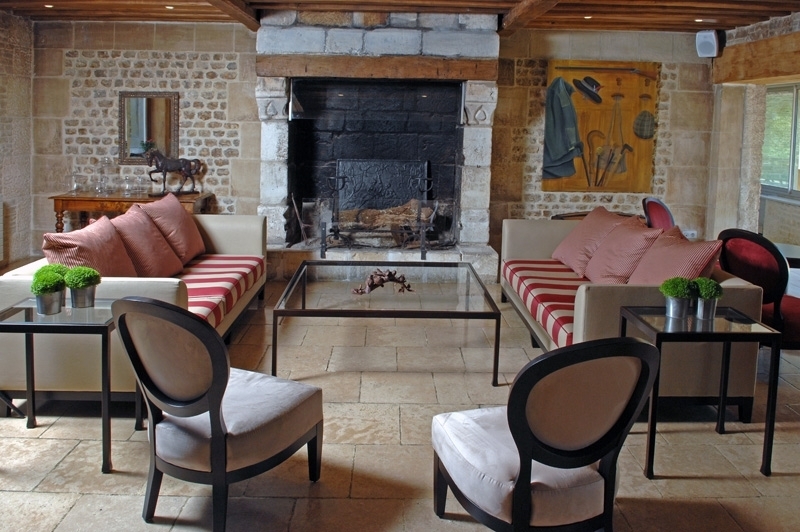 The perfect rustic, romantic setting for lovers or families looking to unwind and enjoy the fresh crisp air of France’s famed Norman countryside and nearby Norman beaches. 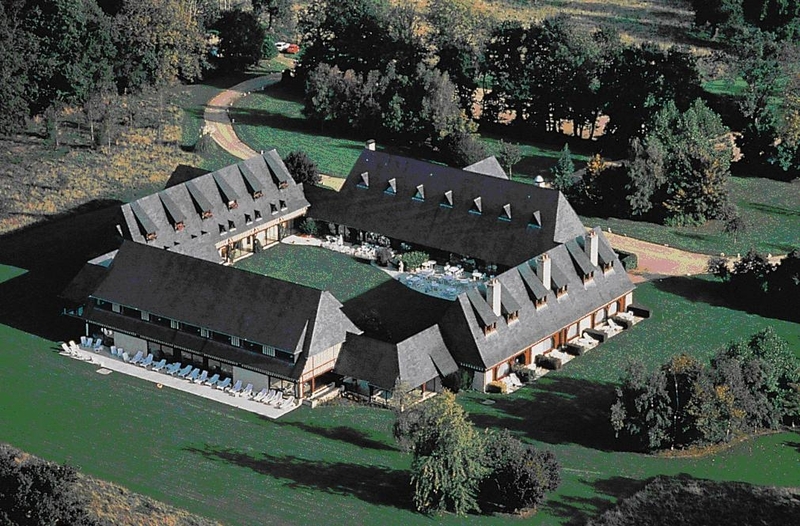 Formerly called Club 13 and owned by French Director Claude Lelouch, Les Manoirs de Tourgéville has reopened in June! The new property of the Groupe Floirat was entirely renovated and now features spacious, beautifully designed interiors with all the modern amenities: a gourmet restaurant (‘1899’), an indoor swimming pool, a screening room (since you can take me out of Hollywood, but you can’t take the Hollywood out of me) and… crackling fireplaces (to go with my vino, of course!). The hotel, located in a beautiful romantic park, truly maintains its traditional heritage in the heart of Normandy. To get to Les Manoirs de Tourgéville, you can go either take a train from Paris to Trouville-Deauville station or you can go by car. For both, the trip takes around two hours. There are multiple daily trains run between the Gare St- Lazare in Paris and Trouville-Deauville station and sometimes the journey requires a change of trains in Lisieux so it’s a good idea to check this in advance. Expect to pay between only 40-60 euros for a ticket. FYI – For those unfamiliar with the secrets of France, Deauville is one of the most glamorous seaside resorts outside of Paris. Double rooms start at a very reasonable 130€ (low season) and at 185€ (high season). Have you ever looked around at your life and doubted that it could be so good? The little cracks in reality that shine like a piece of art? Maybe they’re short lived windows, a simple flash in the mind, but sometimes they last. In fact, sometimes they last for seven sweet days of heaven. That’s exactly what happened to me on my dream vacation in Negril, Jamaica at the Moon Dance Villas. From the time you arrive, your every need is provided for long before you even know it exists. 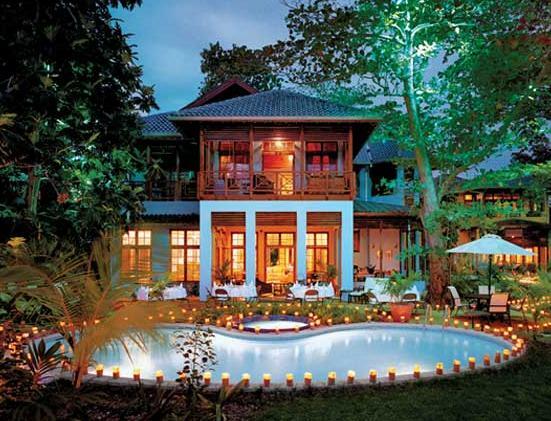 The villas are fully staffed with your own private entourage. I was handed my first rum punch upon stepping in the door and later offered a freshly blended piña colada in the middle of the afternoon. Have I mentioned that I have my own bartender? That was followed by a delectable lobster dinner whipped up by my cook and served outside with a view of my private beach. Are you catching how many times I’ve said “my”? After endless days of not lifting a finger, the staff including your butler, begins to feel a lot like family. To top it all off, living like a Hollywood celebrity has never been so affordable. Moon Dance Villas has 6 luxurious and fully outfitted homes to choose from. 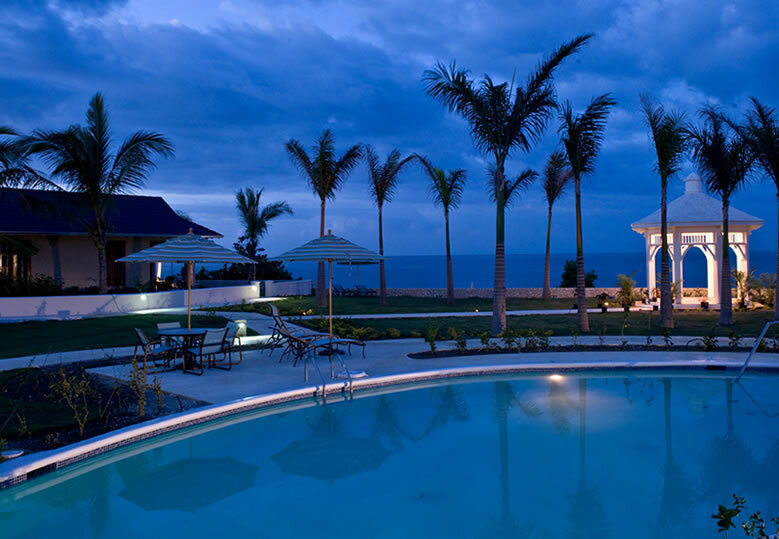 This makes it the perfect vacation spot for you and your sweetheart, your closest lady friends, or your whole family. I stayed in the 5 bedroom Bay Whisper with 9 other ladies, making it only $190 a person per night in high season! I recommend the all inclusive package for just another $115/night, which gives you unlimited food and beverage, wine and liquor, at any time of the day or night. With your own private beach, gardens, pools and jacuzzis, you won’t really want to leave. However, if you feel like pushing your relaxation right over the edge, I recommend the treatments at Jackie’s on the Reef. Your staff will help you get to this idyllic spot where you can choose from a variety of classic spa options, including deep tissue massage and facials. They also take therapeutic treatments to the next level with quality practitioners of energy work, past life readings and ion cleanse detoxification. Almost all of the treatments are in the $60 range, making it possible to stack as much self love as you can into one week. With wedding hosting and loyal regulars, Moon Dance doesn’t really need the extra advertising, but I can’t help wanting to share this gem with the world! As the testimonials attest to, it’s a place where all people, be it families with mixed ages or a gaggle of gals, can finally come home from a vacation fully rested. For me, the whole experience began to feel like some moving canvas colored by vibrant hues of turquoise waters, fuschia sunsets, and golden sunned skin. All a bit too good to be true, but I awoke to that gorgeous dream for 7 days straight. 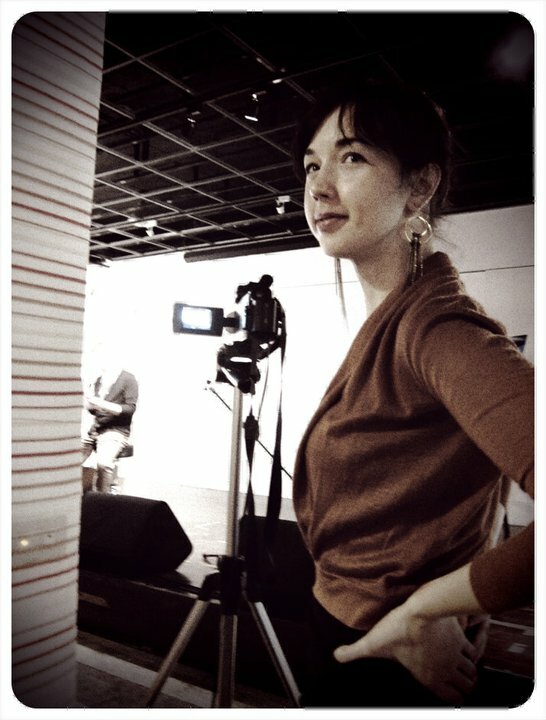 Jaunt Magazine Contributor, Sarah Breidenbach, currently resides in Taipei. When she’s not hittin up HK to sing the blues, she’s sniffing out holistic spa treatments, Buddhist teachers, and all things artistic and chic… for you lucky readers. Next up? The goods you can’t find anywhere else in the world.